Bing integrates relevent Facebook comments into your searches: Hopes to make searching more social! Microsoft have software, hardware in the form of their Surface tablets, the power to change the direction of the computing industry, they even have their own ad platform. The one thing which they're desperate to make a mark in is the internet search arena, where Bing is the relative newcomer seeking to challenge Google's dominance! 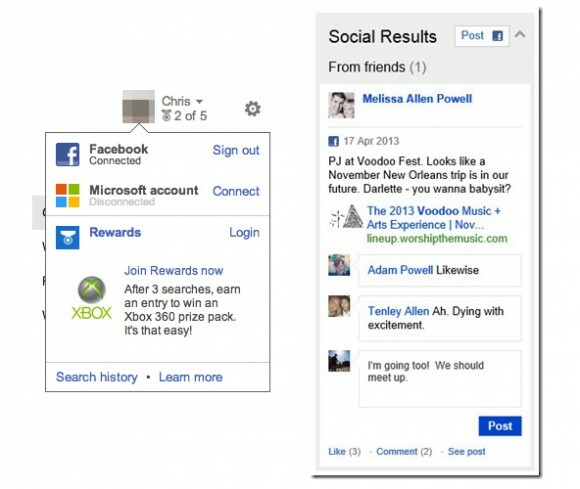 There's one thing which Microsoft are hoping will help them change the fortunes of their search engine and that's Facebook integration. The new feature essentially lets users like and comment on things which their Facebook pals have said which are related to their searches. The way that this will all work is that after you log in with your Microsoft account you have the option to add your Facebook account to Bing. After that you have access to comments on Facebook posts in your search engine sidebar. After you see that you have the ability to offer your 'likes and comments' without the need to navigate to Facebook. Depending on what you search for Bing will offer up relevant Facebook comments and posts from your friends and the plan is slightly flawed because the relevance isn't determined by the age of the posts, so things from a few years back may well pop up. The main thinking is that if you search for Black Eyed Peas tickets on Bing, the Facebook bar on the side will show you that one of your friends already has tickets and has one going spare if you want it. Obviously that's the ideal world scenario, but we're not sure if it will prove to be as useful as that in reality! This is what things will look like! 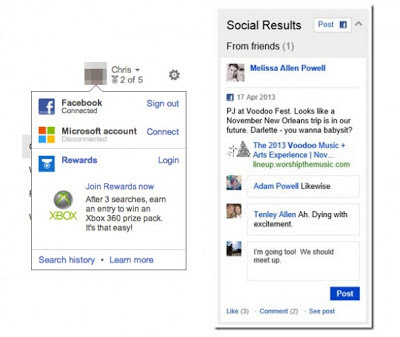 It seems that at the moment Facebook and Microsoft are drawing ever closer. Some of you might remember that Microsoft will be powering Facebook's 'Graph Search' when that hits everyone's profiles at some point in the future. The real point here is whether or not Bing's new feature is actually what users want, we're not convinced, but what about you guys? 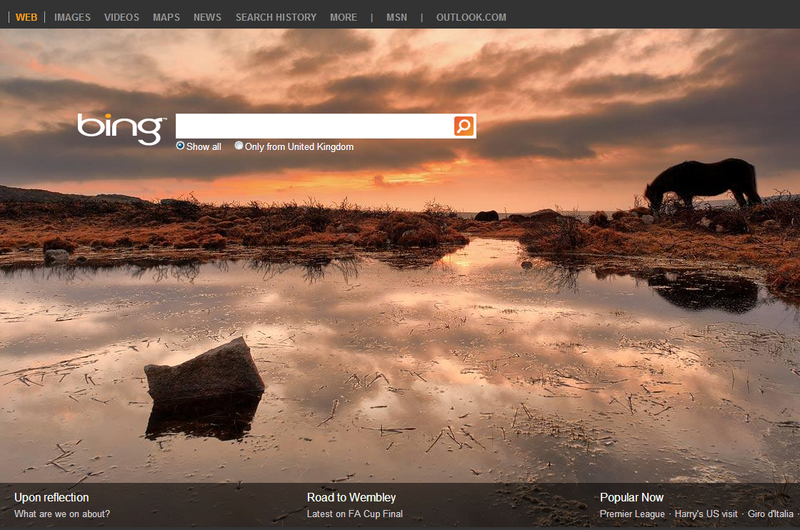 Do you think Bing's Social Sidebar is a good enough feature to differentiate from Google and do you use the Facebook, Twitter, Klout and Foursquare integration at all? Let us know your thoughts in the comments below!